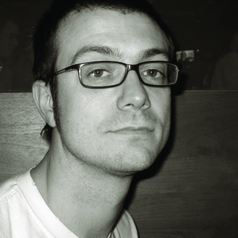 Jerome de Groot is a Senior Lecturer at the University of Manchester's School of Arts, Languages and Cultures. He has three main areas of interest: literature and culture of the civil war period; contemporary popular history; and the historical novel. He is also currently AHRC Leadership Fellow for the project 'Double-Helix History', which looks at how historical awareness is impacted by genetic science, investigating the complicated intersection of genetics and popular narratives of the self and the past. How is this science represented and understood? How is it visualised? What does this mean for privacy, and the projection of the self online? His primary research interest is in contemporary popular history. Consuming History is published by Routledge and concerns the ways in which contemporary popular culture engages with history: there are chapters on historical film, television (documentary and drama), museums, computer games, re-enactment and novel writing. He is also interested in issues that involve history and ethics, historiography, games and culture, film, tv and online culture, and re-enactment.